cosmetics and cleaners | ARTZCOOL'S BLOG! A couple of weeks ago, because our dishwasher was doing such a horrible job, we would rinse all of our dishes before putting them in our dishwasher, then we were having to rewash half of them because they came out of the dishwasher with a filmy sort of coating. gross. So, I was at the point where I was looking through the flyers for new dishwashers, and seriously considering buying a new one. As a last ditch effort, John and I thought we would see if we could give it a good clean, and it is like we have a new dishwasher! Like everything else I do in life these days, the first thing I do when I am thinking about doing something is look it up on Pinterest. 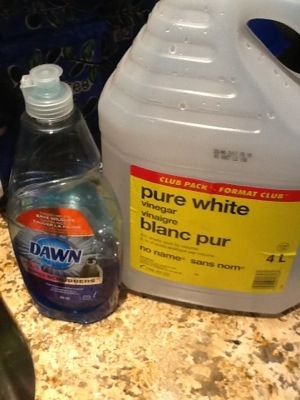 Pinterest said to use vinegar. 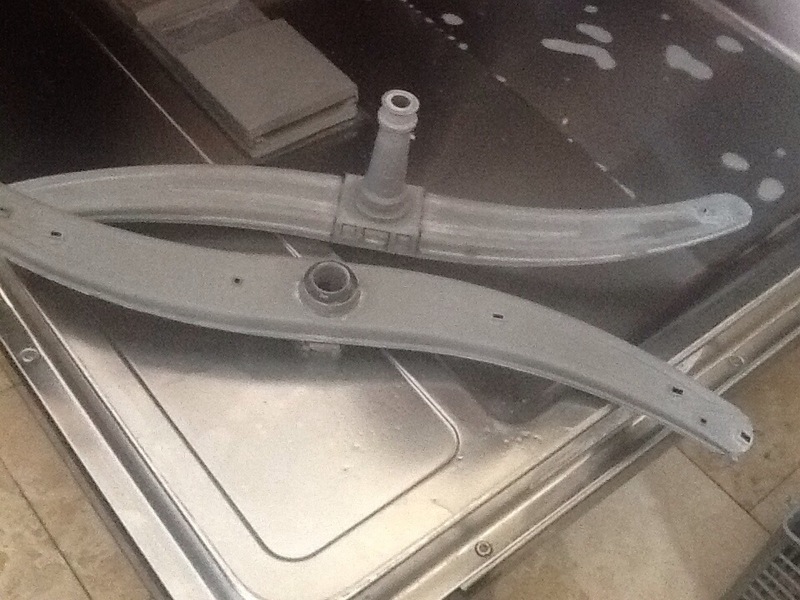 We started by taking off all of the parts on the inside of the dishwasher that could snap or screw off. We washed, soaked and rinsed all of the parts the best we could with vinegar and water. 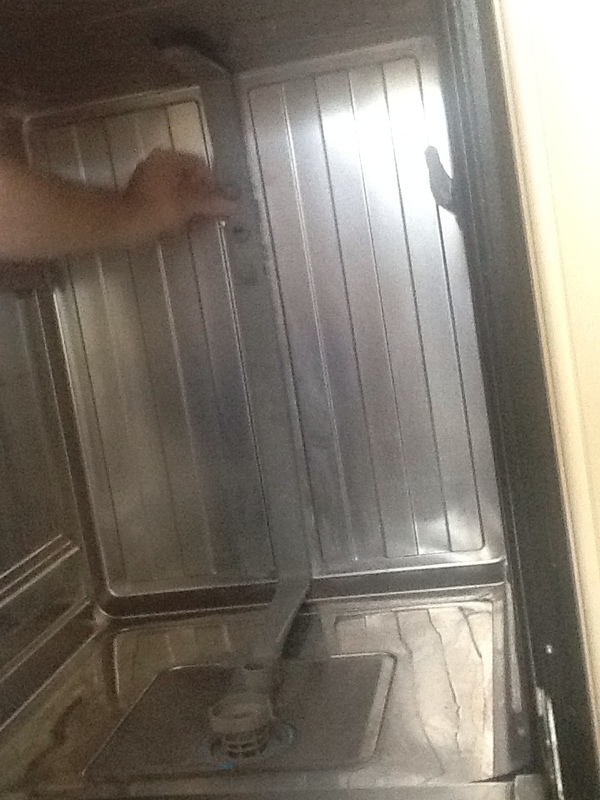 And, I sprayed and washed the inside of the dishwasher with vinegar. 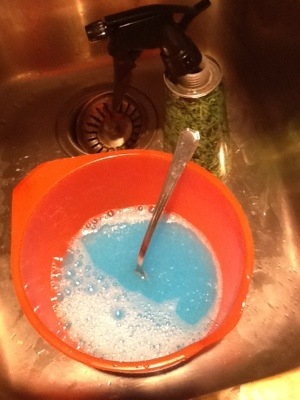 I also washed out and filled the detergent cups with vinegar. Then, the trick I found on Pinterest is to put a glass filled with vinegar in the center of the dishwasher, and run it through a cycle. So, that is exactly what we did. 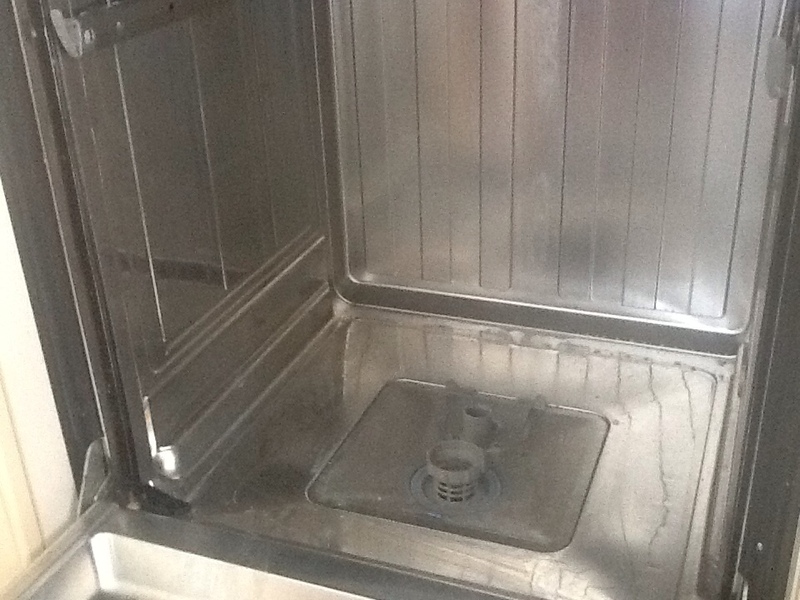 The idea is that the cup of vinegar gets filled with water from the dishwasher and overflows the vinegar, so the vinegar is added gradually throughout the cycle, and gets into all of the pipes and nozzles. It worked amazing! I can’t believe the difference between the before and after. Our dishes are actually coming out of the dishwasher clean and shiny now! 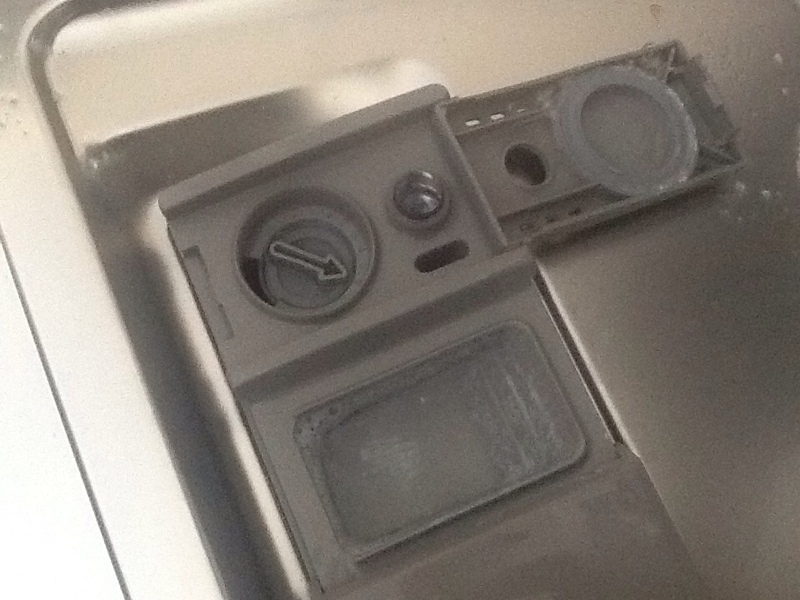 We were almost ready to buy a new dishwasher, but a couple cups of vinegar was all it needed. 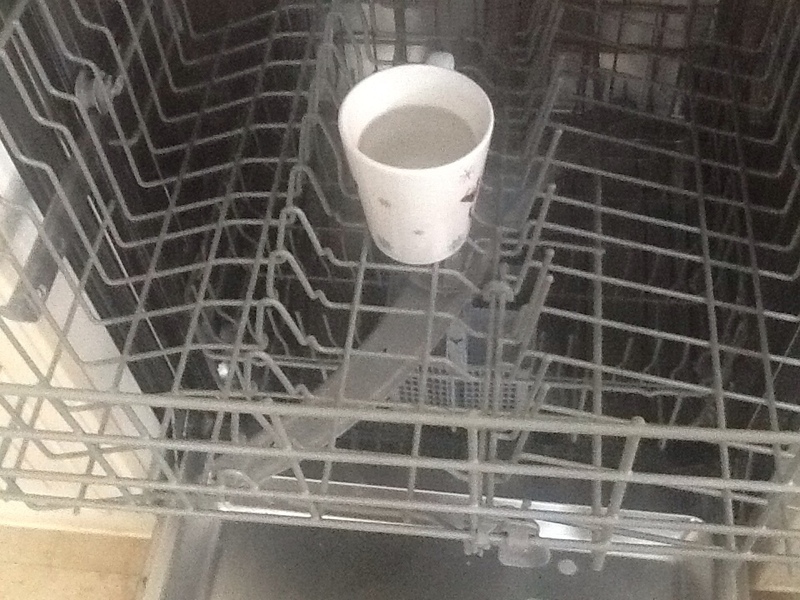 So, every couple weeks from now on, I am going to spray down the dishwasher with vinegar and add a cup to a cycle. The great part is because vinegar is non-toxic, I will just add the cup to a regular load of dishes, no need for the dishwasher to be empty, right? When I was halfway through making a batch of jam, I had it boiling on the stove, the landscapers called me outside, and of course, I started chatting. 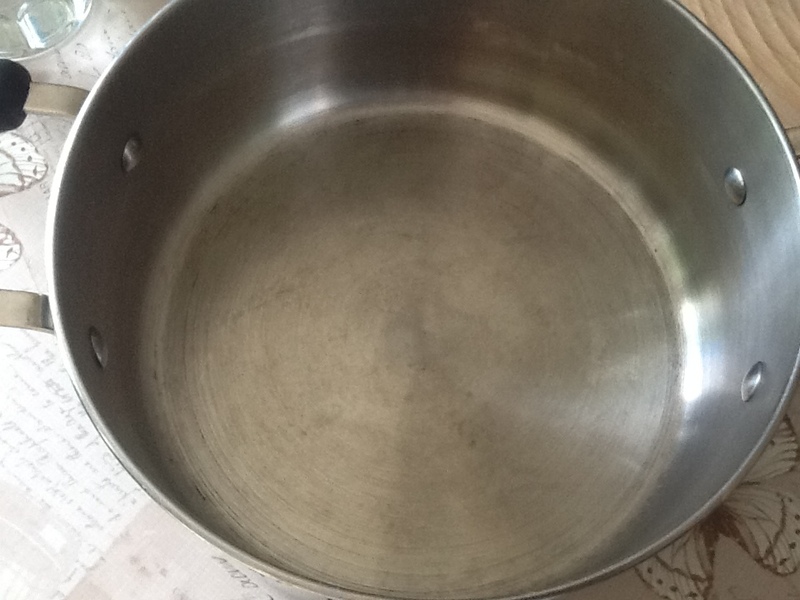 And, to make a long story short, here is what my pot looked like when I got back inside…. 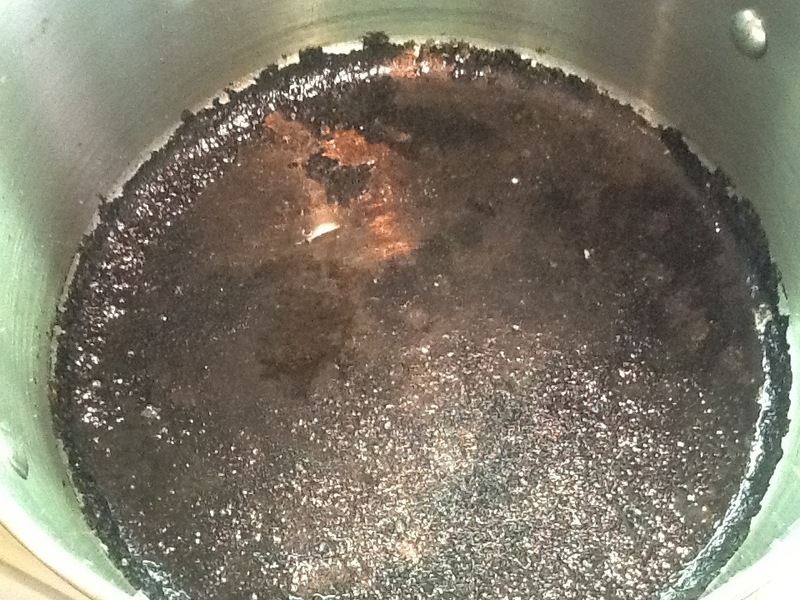 I let it boil for about 5 minutes. 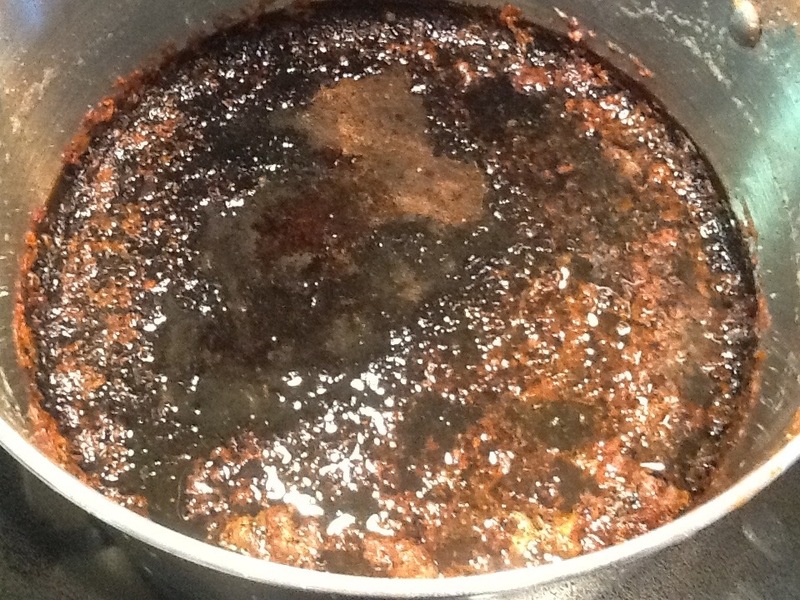 It did take off the top layer of burn, but it was far from being clean. Great, now back to digging up the backyard, and making more jam! 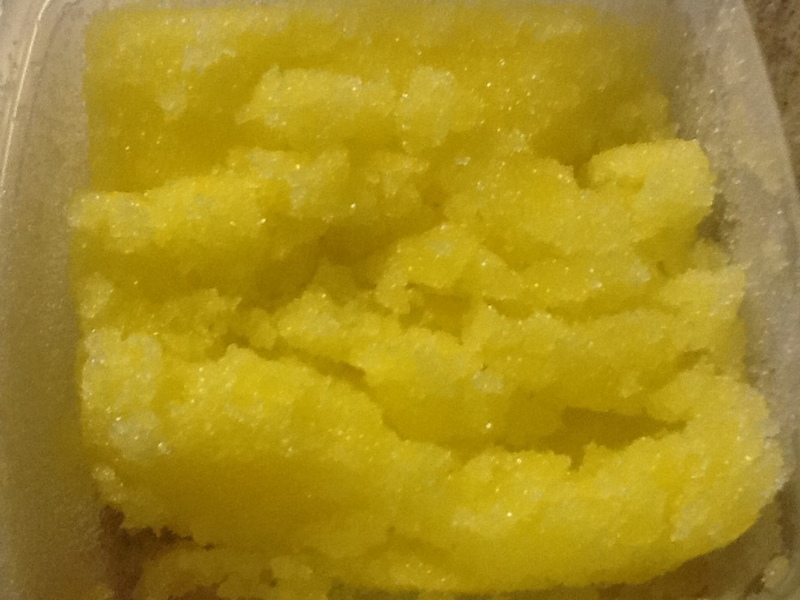 Sugar, coconut oil, lemon essential oil, and a couple drops of food colouring. The instructions are pretty simple…mix everything together. I used about 1/2 cup of sugar, 6 tablespoons of coconut oil, a few drops of food colouring, and and a few drops of the lemon essential oil. As you can see in the second photo, I used a simple plastic container, however, you could also us a glass container, a mason jar, reuse an old cream container, etc. 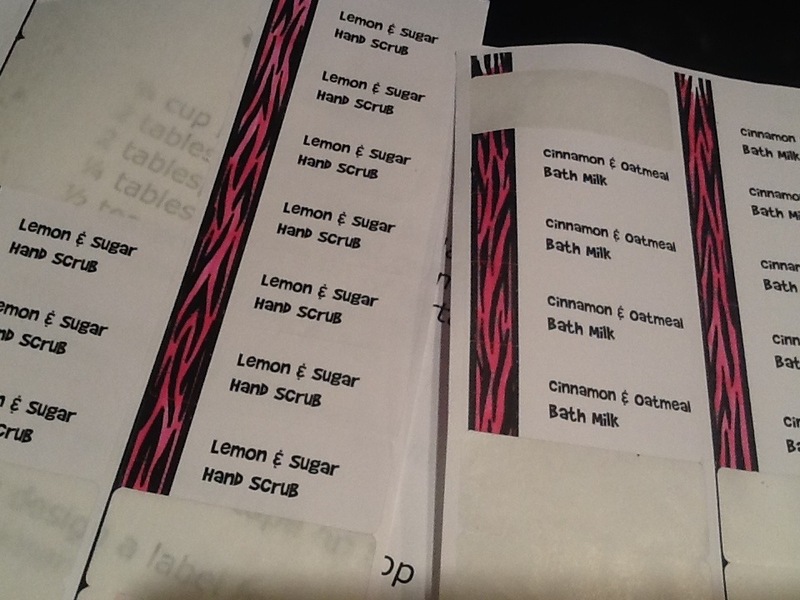 I also printed out labels using mailing labels, and a template on word. 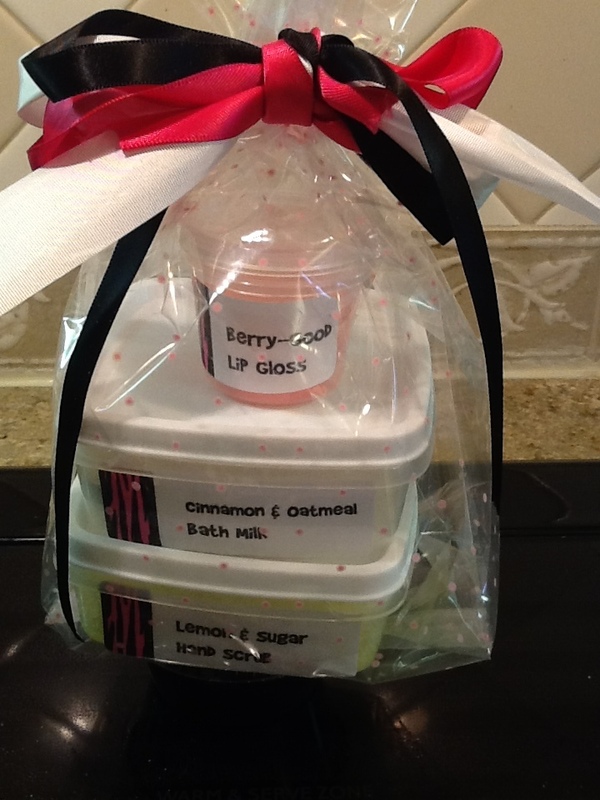 Here again, are all three of the spa items we made for Mother’s Day. Happy Victoria Day to my Canadian friends… No work or school tomorrow! Happy Birthday to Dylan too…my baby is ten years old today! This was recipe number two for the brownie group I worked with. 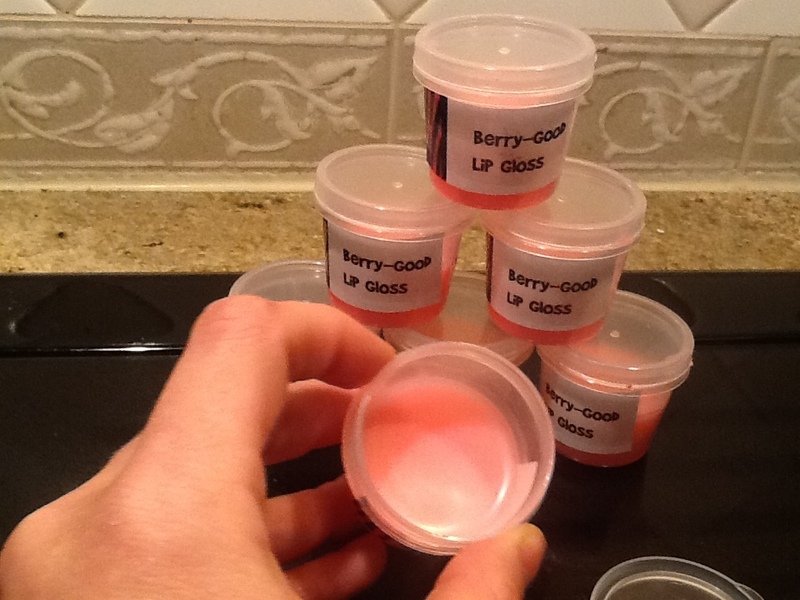 We had a spa night this week where we made homemade spa ideas for Mother’s Day… I highly doubt all of the mom’s will actually see the lip gloss…the girls really seemed to like it. There were five or six girls in each group. 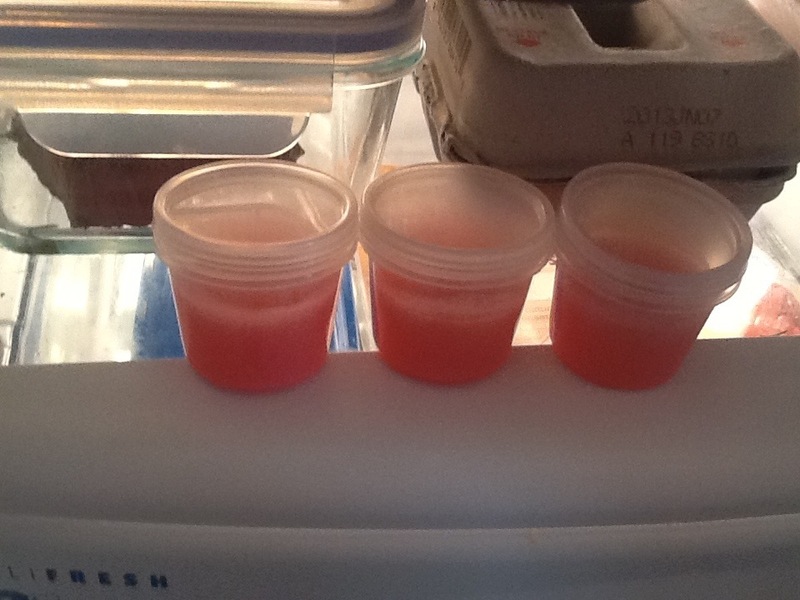 Each recipe makes enough lip gloss for about 5or 6 small containers. 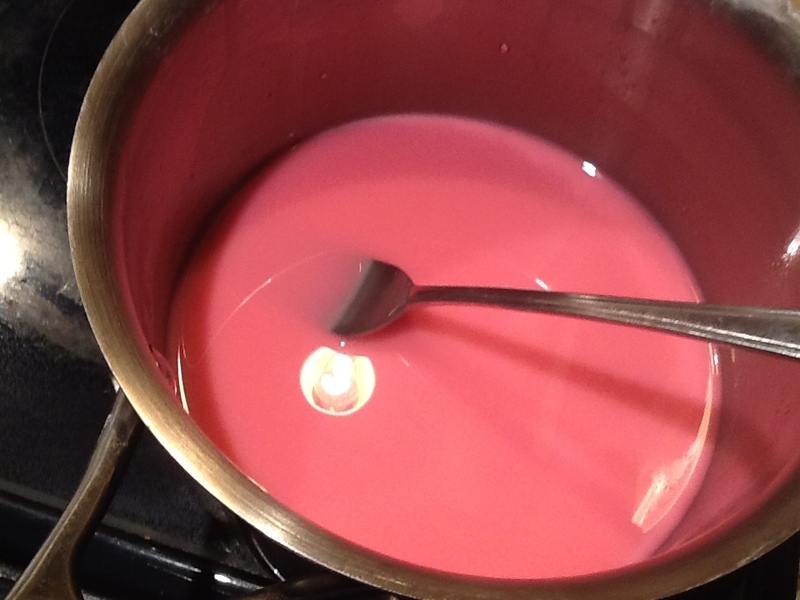 Start by adding the beeswax and candy melts to a shallow saucepan first because they take the longest to melt. 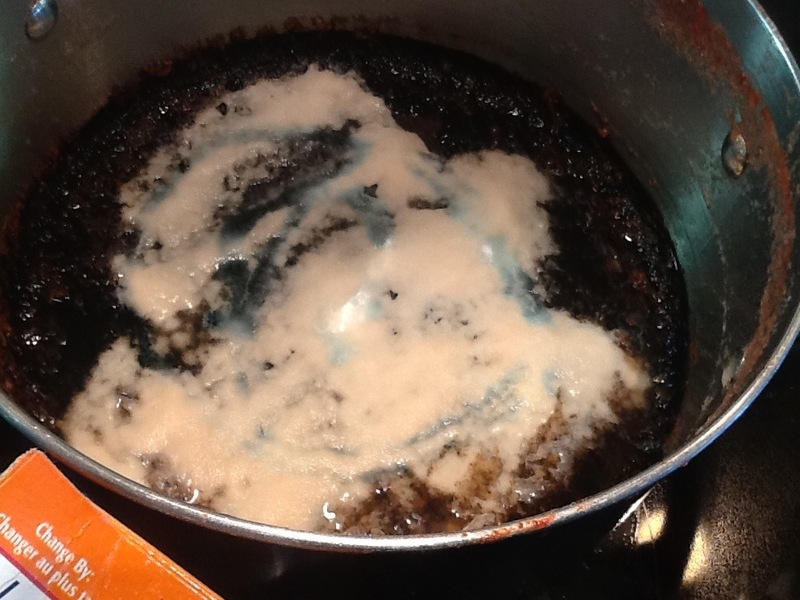 It is fine to use one of your everyday saucepans, as there is nothing harmful, in fact, the only ingredient you can’t eat is the Vaseline. 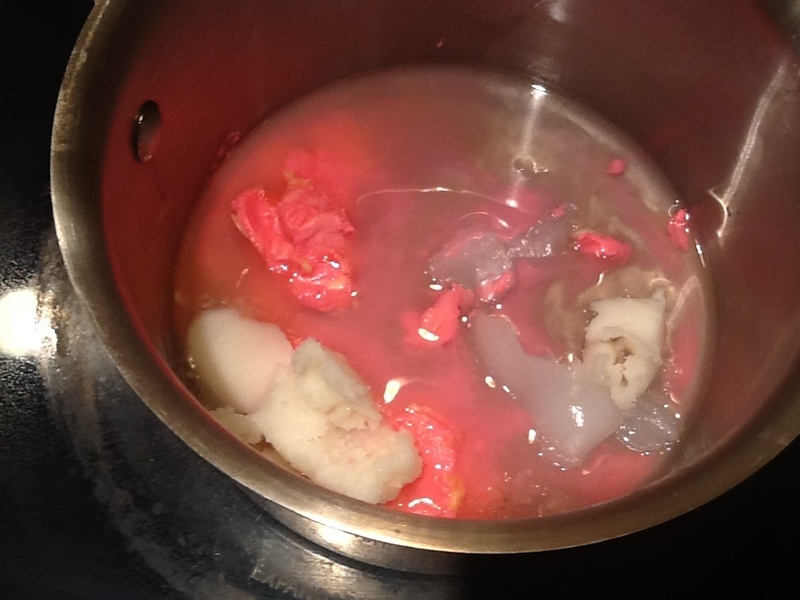 Next, dump everything into the pot except for the candy flavouring. The girls were not impressed with the way it looked at this stage. But, keep the heat low, and it will look like this in a couple minutes. Don’t forget to add the candy flavouring…and take a big sniff, it smells berry good! 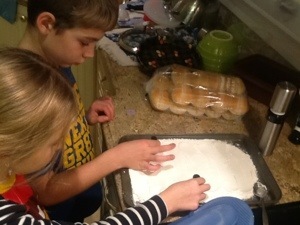 Then, pour it into a shallow, small container. I used salad dressing containers, but you could also reuse old cosmetic containers, even lipstick tubes. I put the containers in the fridge to harden a little. Finally, all that’s left to do is add a label. I used mailing labels, and I just cut them down a little. As part of my volunteer role with the Girl Guides this year, I have been on the lookout for simple, easy, but original ideas for the girls. 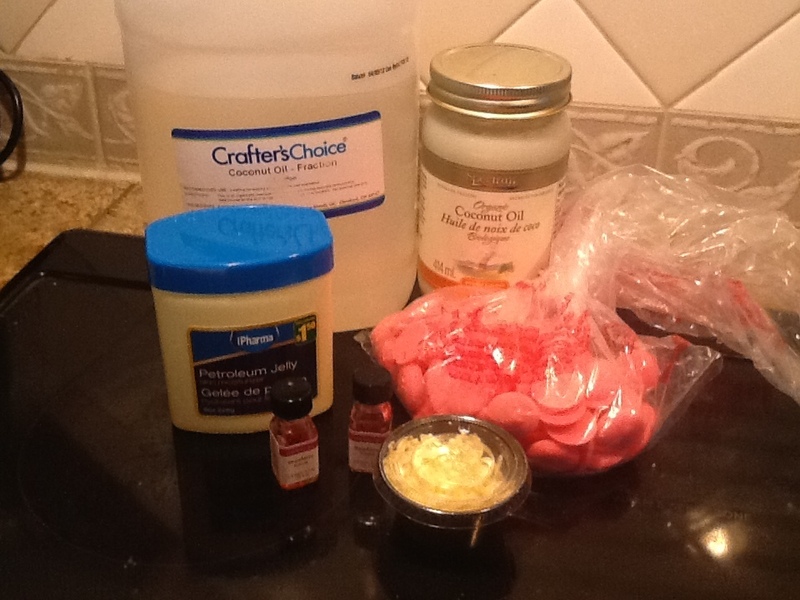 When we thought of having a spa night for the girls, I searched for a few recipes that would be inexpensive, and simple. 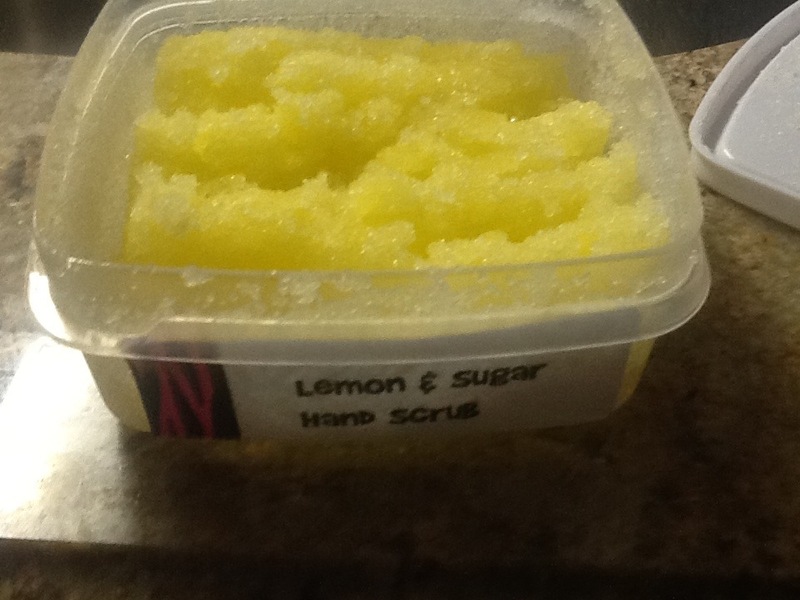 So, here is the first recipe in our spa theme that the girls will be making as a gift for Mother’s Day. 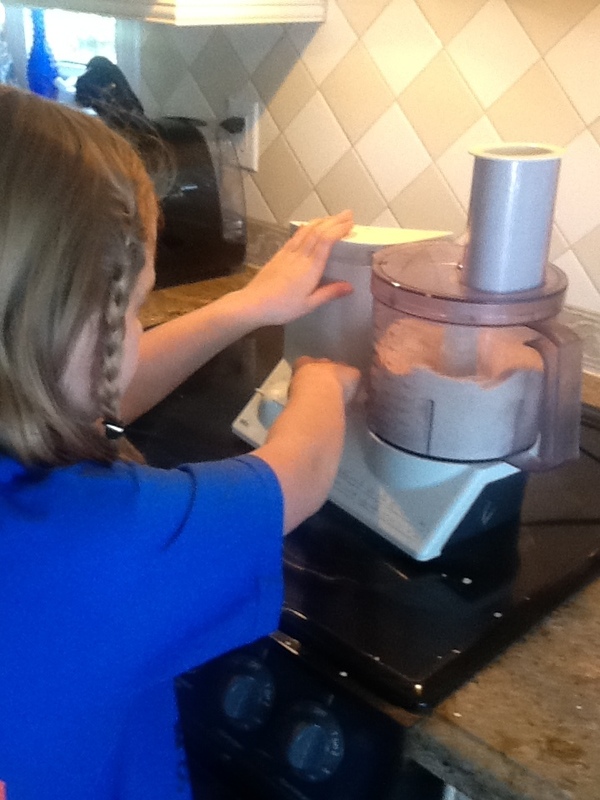 As usual, Dylan or Sam gets to test out many of my new lesson or recipe ideas….before I try it with a group of 20! As you can see, I bought everything from Bulk Barn. I love that place! 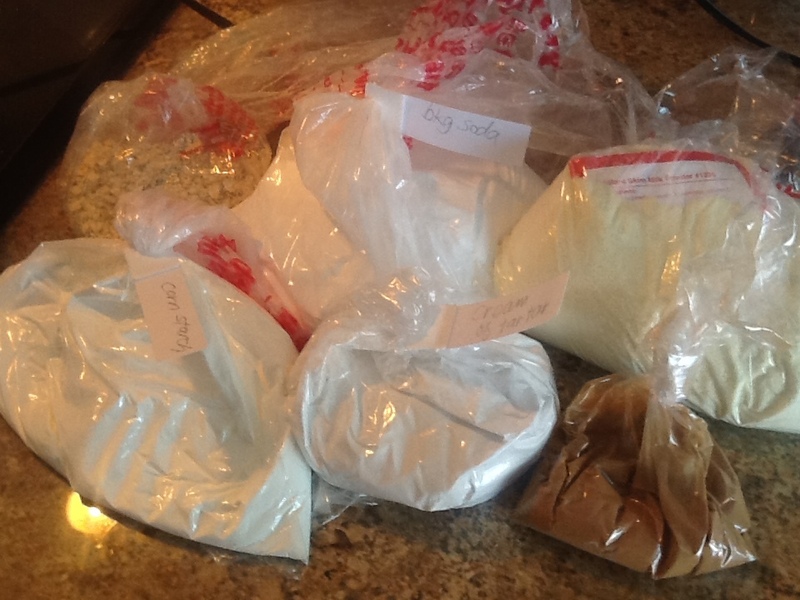 I modified the recipe in terms of quantities because I needed enough ingredients for 21 girls, but I also want each girl to measure and mix her own ingredients. So I bought the following quantities (which is enough to make 24 baths!) 6 cups of powdered milk, 3 cups of baking soda, 1/2 cup of ground oatmeal, 6 tsp of cream of tartar, 12 tsp of corn starch, 6 tep of cinnamon. 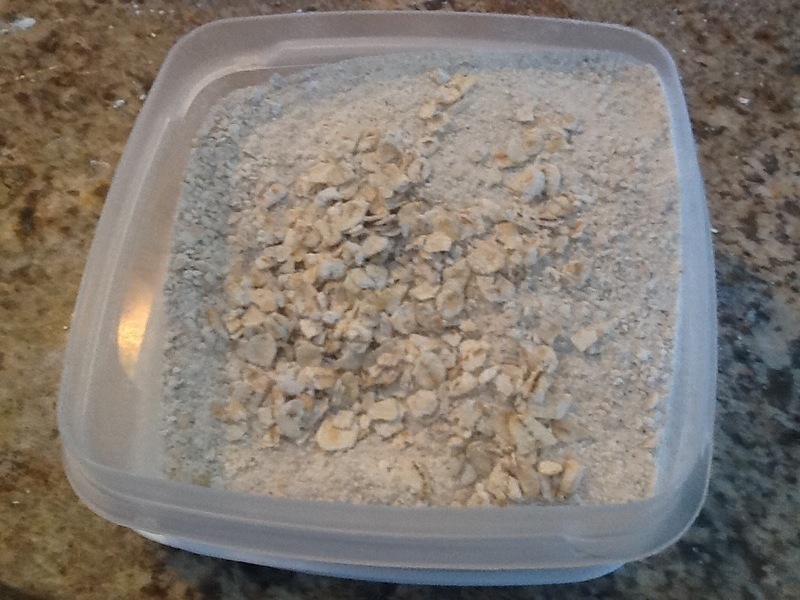 But, if you were only making enough for one batch, you would need: 1/4 cup of powdered milk, 2 tbsp of baking soda, 2 tbsp of ground oatmeal, 1/4 tsp. 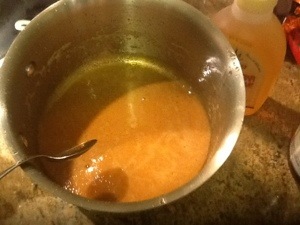 cream of tartar, 1/4 tsp corn starch, 1/4 tsp cinnamon. 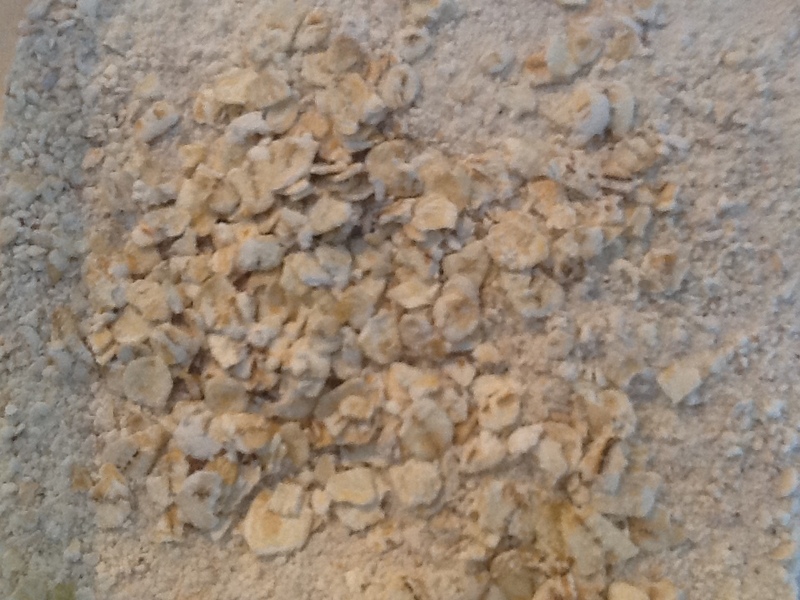 I started by tossing the oatmeal into the food processor, and grinding it a little finer. I also saved a few larger pieces to sprinkle on top. That’s it. The most challenging part is to package it up so it looks pretty. You could put it in a pretty bag with a drawstring, or a mason jar. For the girls, we will be storing them in plastic containers. I printed out labels for the containers, then we will put everything in a cellophane bag. 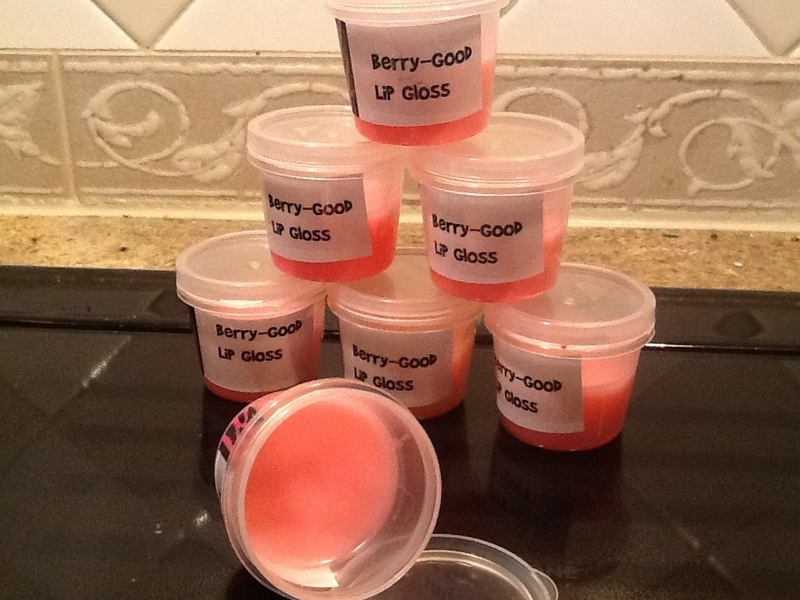 I will post the other two recipes, for Berry Good Lip Gloss, and Lemon Sugar Body Scrub. Happy early mom’s day! -I will try to post the next recipe and instructions tomorrow. 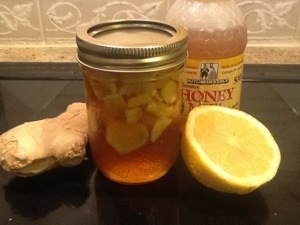 That persistent cough that has been going around made it into our house… and I really hate continuously taking or giving cough medicine for it… so I know that lemon and honey are good for sore throats, so I googled homemade cough medicine, and found a recipe that I modified a little. The cool thing with this recipe is that you can take a spoonful like a cough syrup, or the way I love to take it is to mix a spoonful with a cup of boiling water and have as a cup of tea. 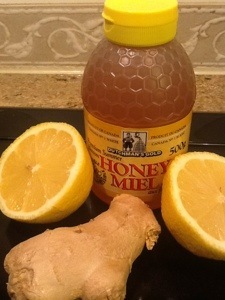 All you need is organic honey, lemon, and fresh ginger. 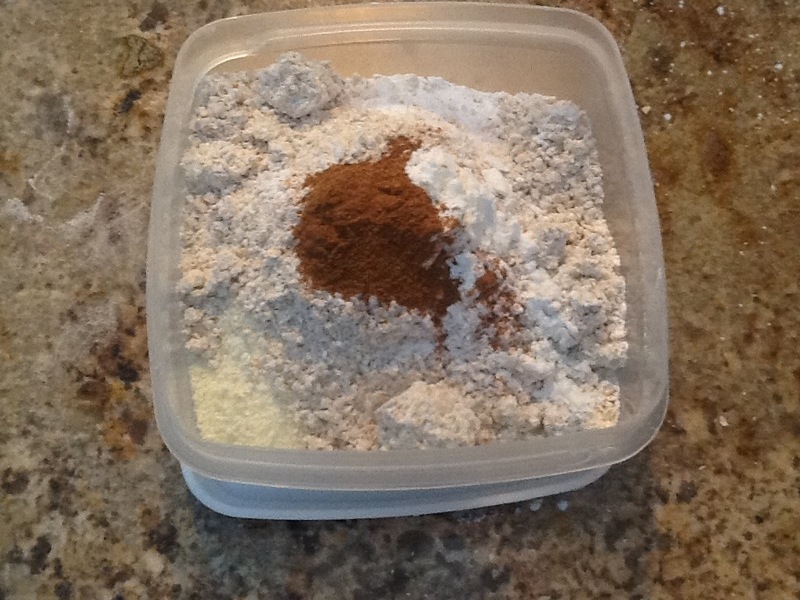 I have also seen recipes with a little cayenne pepper, but I know the kids wouldn’t like that, so I left it out. 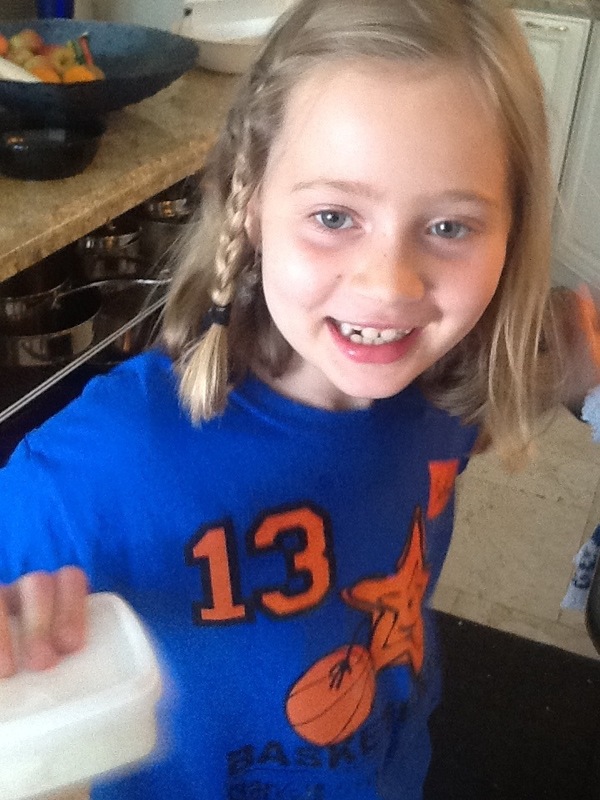 Sam still thinks that toothpaste is too spicy…I don’t think she would enjoy the heat of cayenne peppers somehow. 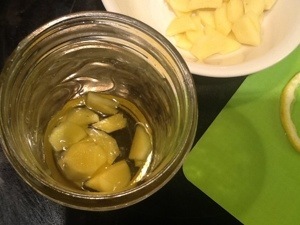 Start by putting a layer of chopped ginger in the bottom of a glass jar. add a squeeze of honey and a squeeze of lemon juice. I also cut up and peeled thin slices of lemon to add, but adding the lemon also reduces the shelf life, so you could also just add the lemon right before use. 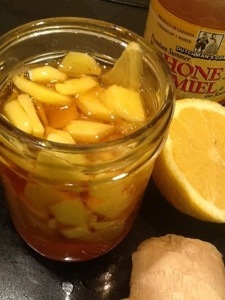 Keep repeating adding the ginger and lemon and honey and fill up the jar. Let it sit for a while. You can use it right away, but the longer you wait, the stronger the taste of ginger. Store in the fridge for no longer than a couple weeks. Have a teaspoon as is, or add a teaspoon to boiling water. Yummy, and it works. Much better that Buckleys too! 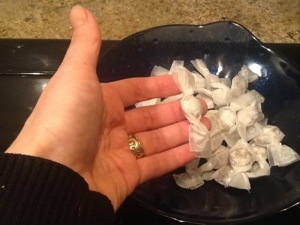 So I have been looking for alternatives to regular cough drops, and I have combined a couple recipes to make the below cough drops. I am actually really impressed with the taste and how well they work. They actually do a great job of controlling the annoying cough. 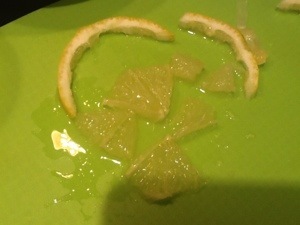 the juice from 1/2 a lemon. 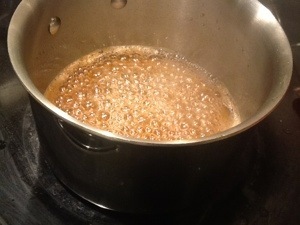 Start by brewing tea 4 bags in one cup of boiling water for 15 minutes. 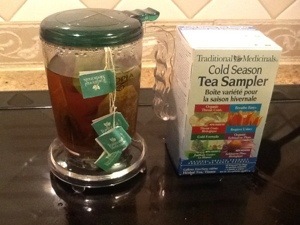 I bought a cough and cold herbal tea sampler pack and used one tea bag of each kind. 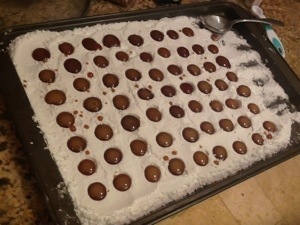 I just discovered this method for candy making, and it is the coolest, easiest way to make the candies all the same size and shape. I tried using candy moulds, but found that most of them cracked as I was trying to get them out. 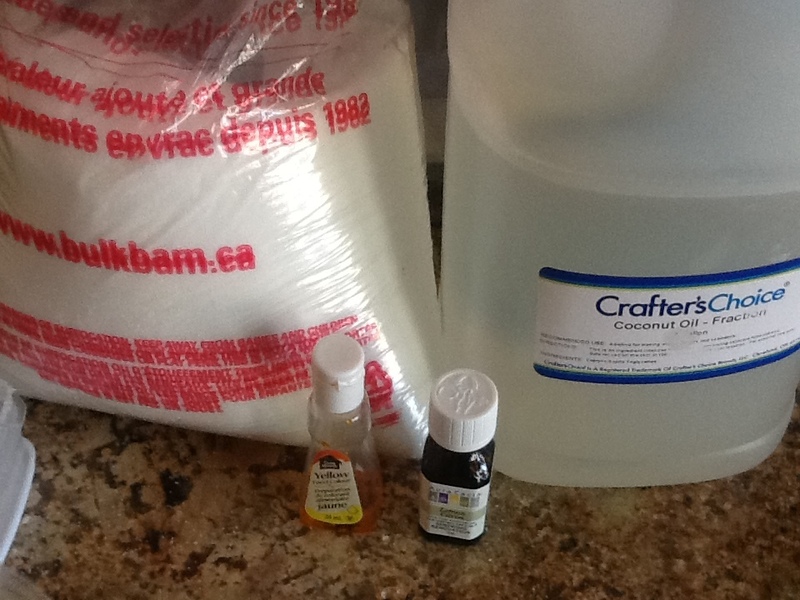 So, to make a mould for the drops, start by spreading a couple cups of icing sugar out on a cookie sheet. Use the back of a spoon to smooth it out as much as possible. 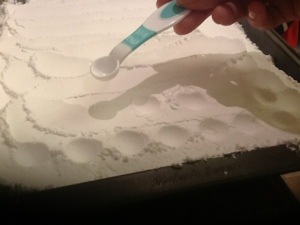 Then, use the back of a measuring spoon to make indentations in the sugar. I think I used the 1/4 teaspoon. 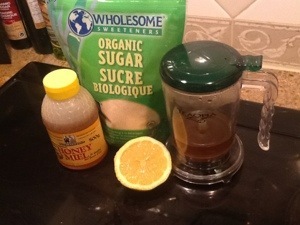 To a medium sized pot, add 1 1/4 cups of organic sugar, 1 cup of the brewed tea, 1/3 cup of honey and the juice from 1/2 a lemon. Stir everything together and bring to a boil, until it reaches the hard crack stage or 300 degrees. 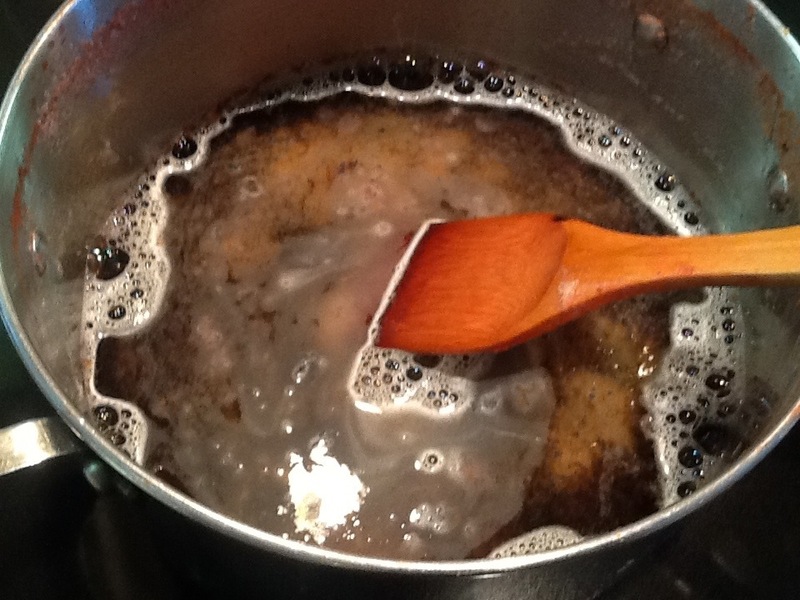 This takes about 10 minutes and you will notice that it reduces in size and boils down a bit. When it has reached 300 degrees, here is the fun part. 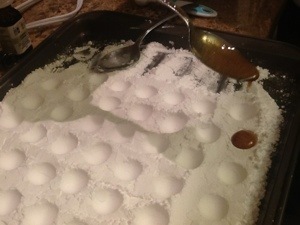 Spoon it into the icing sugar mold. it is amazing how it runs right into the holes. I used a spoon and drizzles it into the holes. Even if you are not exact in your pouring, most of the liquid runs into the closest hole. You do have to work fairly quickly as it starts to harden almost immediately. 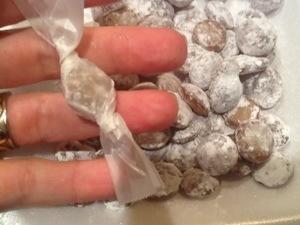 When they cooled, I wrapped them in little squared of waxed paper that I twisted at each end. They actually take that tickle out of your throat, and they taste pretty good too! Hello! And happy summer! I am loving this time of year because i am a teacher…i guess i dont have to explain more than that right? 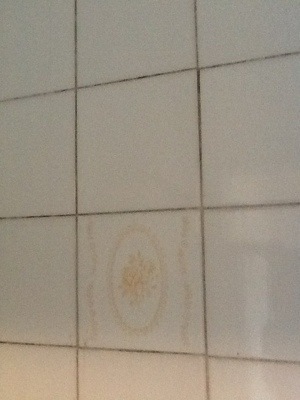 I am going to swallow my pride a little and let you see a dark and very dirty secret I have been hiding since we moved into our house… Our shower. 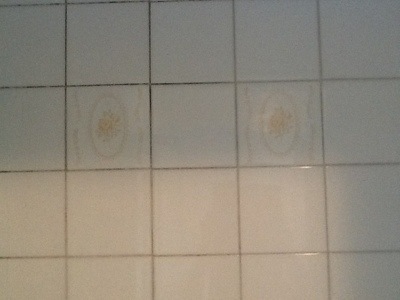 I have tried scrubbing and scrubbing, using very toxic chemicals, and nothing has worked to clean it. But the thing is, it is a closed little cubicle with not much air circulation, and I have just never been able to get it clean. 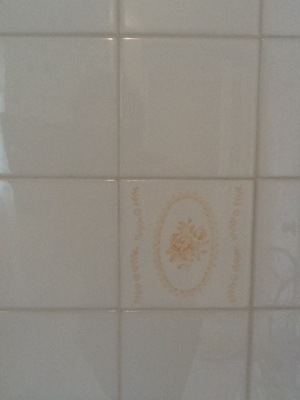 Then, pour into a spray bottle and spray onto your tiles and grout. 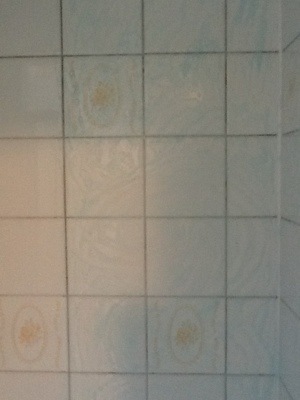 Because the liquid Dawn is a bit thicker, it drips down a little, but is thick enough to stick to the grout. FYI, I would recommend using glasses or goggles if you have them, I kept getting the spray in my eyes, and trust me, soap and vinegar doesn’t feel good in your eyes! Then, I used the shower head to wash to soap off. 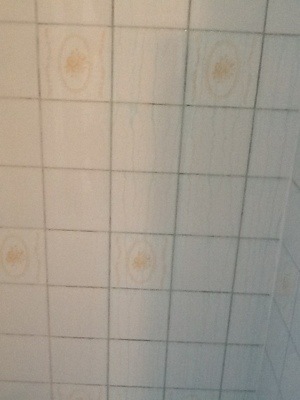 Of course, I had to see the difference, so I just sprayed half the shower. 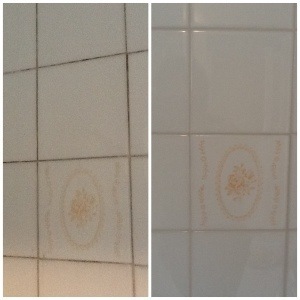 This picture shows the half a sprayed (the right side) and half I left (the left side). It is a little tough to see, so check out the next few photos. I was very impressed at how little effort this took, I will be using this again! The best part is that it is so cheap, and chemical free. I wrote a post a couple weeks ago about making rainbow roses, using my neighbors beautiful roses that post through to our side of the fence… Well thanks to my neighbors fantastic gardening skills, we have enjoyed the roses for a few weeks now. But when the petals start falling off, I just can’t let them drop to the ground. 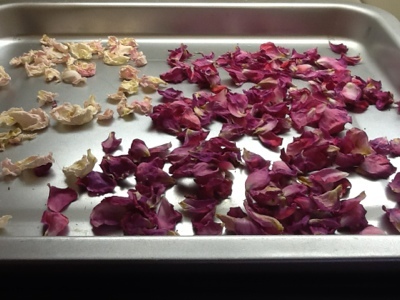 So every couple days, I go out and shake the roses to gather the petals. 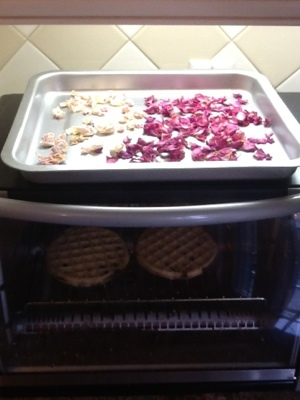 I spread them out on a small cookie sheet on top of the toaster oven where it is warm, but not hot. 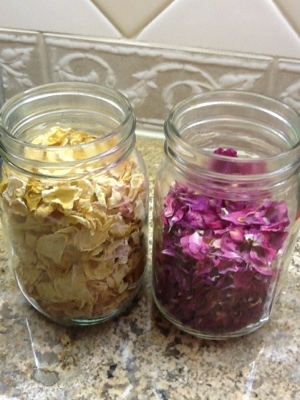 I put the dried petals into a couple mason jars when they become dry and crunchy. 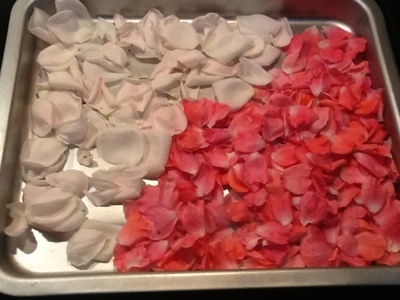 By the time the petals have dried, I have collected some more petals to repeat the process. 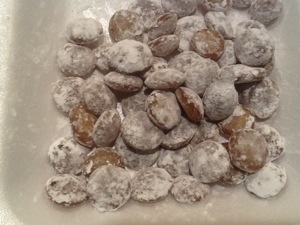 I’m thinking I can use them to make soap, tea, potpourri, or use them in a craft…not sure yet, but I’ll let you know..